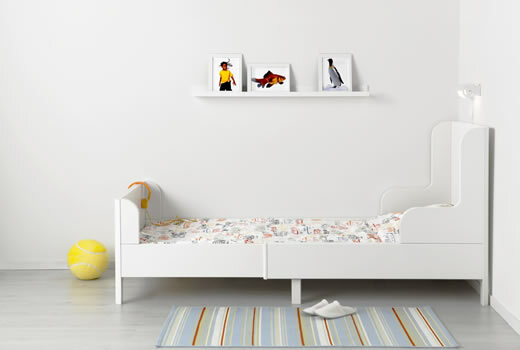 At IKEA you can find beds, mattresses, quilts, pillows and complementary items for children at different age groups all in one place. You can combine these items and create a room suitable for all needs, spaces and tastes. While planning your child's room, take a look at our buying guide where you can find BUSUNGE Series and more.